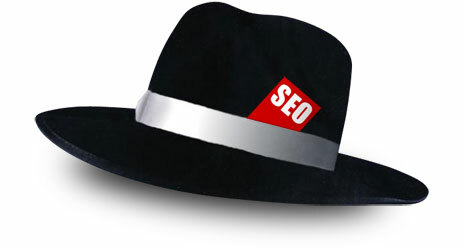 SEO Ethics: White Hat, Black Hat, Grey Hat? Whether you’re involved in a business, a personal relationship, or simply interacting with people and things each day, you’re exercising some form of ethics no matter what you do. Ethics is a philosophy that involves the systematic concepts of what is right and wrong behavior and how we judge those who make decisions. Even back before SEO came into play and was a fully recognized system, ethics was a game played on the web that really didn’t have any boundaries or moral codes saying what is and isn’t acceptable for the user. We can see this evident in early web hacking where some would argue that they were simply learning more about the internet and not committing an online crime as it would be known today. This has come up several other times involving the loosely associated hacking group Anonymous who has claimed responsibility for attacks on corporate databases in the past. Back to SEO, we can see that there is a fine line that separates what is okay SEO, and what is frowned upon SEO either by SEO ethics experts, or Google themselves. Let’s start with the good stuff that Google and other industry experts see as acceptable forms of search engine optimization. Most of what people consider to be White Hat SEO comes from the idea that the less web-spam the better. As time has gone on from the early beginnings of SEO in the 1990’s, some tactics that initially helped earn web traffic have become poisoned and less fruitful because of overuse and less legitimate practices. So where does the term come from? It’s origin in essence comes from the idea of purity and integrity that would be applicable to enhancing web traffic to a webpage and increasing their rankings. So which tactics meet this criterion? 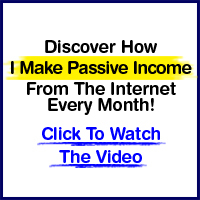 The lifeblood of the internet and all knowledge based information; this tactic relies heavily on the idea that you cannot gain web traffic if you do not have something of valuable to offer your visitors. While sometimes this tactic can be confused with doorway passages, it’s better to just hire someone to write quality content or do it yourself. This will prevent all assumptions that your content is worthless. Creating good content can be time consuming but it will be well worth it in the long run. The richer the content is, the better the chances that you will appear in search engines and become a resource to human visitors and webmasters who want to link to your webpage. Content also provides the chance to use keywords that relate to your topic and will be used in conjunction with search engines. This tactic is a small factor when employing a white hat SEO campaign, but remains valuable in that it will make your webpage more “spider” friendly. A spider is another word for a crawler, which will evaluate your page and extract links from it, and return information found to be indexed. Some factors that go into on page optimization include formatting your title, body text, headings, link text (anchor text), domain names, and the amount of keyword repetition on your site. Overall this accounts for about 20%-30% between on page and off page. As stated above this is the largest piece of optimization, and accounts for about 70%-80%. Another name associated with off page optimization is called external linking or link building. This is one of the easiest yet tedious methods of increasing your web traffic and rank and can be the most time consuming. Beginning a link building campaign can be like having all the needed materials to construct a building, but not having the architectural blue prints in hand. The internet is huge and according to a recent survey, there are about 400 million webpages and counting. That’s a ton of resources to look through, but where do you actually get your link value from? Well you have to start somewhere and decide for the sake of your company what is relevant and what niche you should target. Start by looking through blogs, forums, and online articles. Some will be valuable to have a link on, and some will be worthless. This all depends on the site’s Page and Domain Authority. Remember to keep it relevant so that people who see your links can follow them and find something useful. Another way of link building can be reciprocal linking, where you exchange links with other webmasters. This tactic can be beneficial but the values of these links have declined over the years. Now here’s where things get a little strange in regards to SEO tactics and how they are implemented in an SEO campaign. Google and other search engines can’t necessarily see exactly how you’re driving traffic to your webpage so they’ve improved this the last few years, especially since the Panda and Penguin updates. The method you use to increase your rankings can fool search engines but most likely will be visible to human guests. Using methods or techniques that are used in order to rank higher on search engines using prohibited tactics are considered unethical. Before SEO was as well-known as it is today, all techniques were considered legitimate. However due to abuse they are no longer accepted by SEO communities. These tactics may produce a short term gain in rankings, but will eventually fail. White Hat is always better for a long term gain and will circumvent being penalized by search engines. There are numerous tactics employed by those who violate SEO ethics, so I’ll summarize the main ones. Probably the most commonly used Black Hat SEO tactic out there, this includes placing a large amount of instances of a targeted keyword phrase on a webpage in hopes that a search engine will read it as relevant. Sometimes this will be placed in body text but can be incredibly hard to read for users, so to avoid this they will sometimes be placed at the bottom of a page in very small font. Remember that creating a user experience that is positive is a large part of SEO, so those who practice unethical tactics will find ways to trick search engines without alerting human guests. One of the worse Black Hat SEO tactics, this technique is solely for search engines and not humans. They’re basically fake pages customized with a few particular keywords or phrases that a user never sees and is immediately redirected to the homepage. Considered to be one of the quickest ways to gain short term ranking, search engines have become more intuitive and will ignore or outright ban these pages once discovered. These tactics are still being used more so than the last few because search engines have a hard time seeing them. Those who use this tactic set up a page’s text color to be the same as the background so that users cannot see them. Spiders that index the page will then rank them higher for relevance. Sometimes they can be camouflaged into pictures in the background so that it’s harder for users to detect the hidden text. This tactic is considered web-spam and will quickly be reported by competitors like cloaking, which is another method of tricking search engines to be ranked higher. Cloaking is a method of presenting information to search engines that users would not necessarily see when visiting a webpage. This method is like hidden text and when discovered by competitors will be reported for unethical behavior. This method is common with link building and creates the most web-spam for search engine positioning. By building multiple websites and linking them together to build link popularity, this can be hard for search engines to detect. Some forms of interlinking can be considered legitimate, which leads us into the grey area between White Hat SEO and Black Hate SEO also known as, you guessed it, Grey Hat SEO. Here’s where you’ll scratch your head and wonder why there’s even a grey area between the two, because most of the tactics listed below will be similar to both White and Black Hat, hence the term grey. Some will even argue that there isn’t such thing as Grey Hat because the line is so thin between the two. Remember that it’s important to understand that just because these tactics work for some, they can be detected as spam and will undoubtedly result in your site being banned or penalized. Most of the time cloaking will be seen as Black Hat because of its deceptive nature. In some cases there is a logical reason to present different information to a search engine instead of the user if for example you were describing content that was for “member’s only”. This would have to be approved by search engines before use because the chances of being penalized are great. Sometimes it’s possible to legitimately use cloaking if your site is art based and is comprised of just images. This could be a reason that you would want to cloak some information so that the webpage creates a better user experience and can still be searchable by spiders. This tactic is arguably considered Black Hat SEO because it includes purchasing links for the sole purpose of increasing link popularity. Sometimes it is possible to buy links for advertising purposes alone, and this is considered legitimate. Purchasing links to increase your ranking is considered abuse and will result in an effort to degrade the link’s value or penalize the site. A rule to keep in mind is if you’re buying links it should be for an increase in traffic, not to increase your webpage’s ranking. I left this out in Black Hat SEO on purpose so that I could explain why it’s more grey area than black. The increase in popularity of providing content that is relevant to users has increased over the years and is why it has become a significant problem for search engines and users alike. One way of addressing this problem is adding filters to search engines that will seek out pages that contain the same content and eliminating the duplicate. Even when this filter does not work, the duplicate page will be reported by competitors and penalized. Another form of duplicate content is spinning content. This means that someone has taken an original piece of material and “spun” the words and sentence structure so that it reads differently and often makes no sense. This can be realized by human guests on a webpage, but sometimes isn’t by search engines. While most of the tactics that were listed are on the fence and considered Grey Hat SEO, you can’t assume that they won’t be looked upon as unethical at some point. Every person is different who analyses SEO, including SEO ethics experts who make their opinions known by ways of writing articles and blogs defaming companies who have employed these tactics to not only increase their web traffic, but increase their ranking as well. When it comes down to what truly is Black and White or even Grey, Google and all other search engine authorities will be the final decision makers on whether you’ve been cheating the system and whether you deserve to have your website’s rank discounted or all together penalized. Such instances have occurred before and Google gave those targeted by Panda and Penguin updates a chance to explain themselves and why they deserved to not be penalized. Very comprehensive and useful post you have shared to differentiate between black-hat, white-hat and grey hat techniques. For all SEOs your post is very helpful to understand the difference between these techniques. The best strategy is creating high quality, unique and fresh content. With this, you don't have to worry about the link building and other white, grey or black hat strategy. As you said, it may take long time but it will pay off in long term. It is very important and hot question that which techniques are in black hat, white and grey hat. Your post is very comprehensive and important to understand the difference between these three techniques of SEO.